The Baltic Sea is one of the most popular Yacht Charter destinations of German and Scandinavian Yacht Charter skippers: Since the opening of the East this Yacht Charter region has grown considerably: the Yacht Charter sailors can now explore almost over 400,000 square kilometers of the 460 meters deep Baltic Sea which is an inshore water. About the Danish straits and the Kattegat you can reach the Skagerarrak, transition to the North Sea or the Atlantic Ocean. Biologically, the Kattegat, however, no longer belongs to the Yacht Charter region Baltic Sea – compared to open seas, it is relatively poor in oxygen and inland species, and less salty. Ten states are on the banks of the Yacht Charter Baltic district: Germany, Denmark, Sweden, Finland, Russia, the Baltic States of Estonia, Latvia and Lithuania, and Poland. The Flensburg Fjord with the city of Flensburg highlights the extreme west of the Yacht Charter destination Baltic Sea, the northernmost point is on the Gulf of Bothnia at the Swedish-Finnish border. 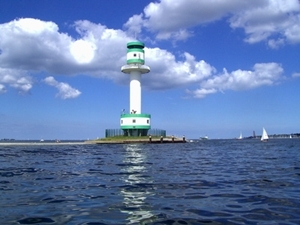 Russia’s Saint Petersburg on the Gulf of Finland marks the easternmost point – and the southernmost point is located near Stettin on the Baltic Sea, Szczecin Lagoon. Most Yacht Charter crews take their yachts over at the Yacht Charter bases in the classic Yacht Charter areas: the most Yacht Charter offers are now to be found at the German Baltic Sea. But also in the Yacht Charter bases in the region of Eastern Sweden / Finland and Western Sweden / Bohuslan are plenty of charter boats available, some Yacht Charter bases are also to be found in Denmark. The Yacht Charter cruises in the Baltic Sea, however, are usually very international: Yacht Charter crews who take over their sailing yachts in the Southern Baltic Sea tend to explore the Danish South Sea. From the more easterly Yacht Charter bases they explore the coasts of southern Sweden or Poland. Many Yacht Charter skippers like to cross the boundaries between Finland and Sweden via Åland. 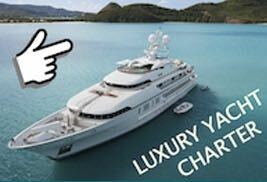 There are charter destinations as well now in the Baltic States of Estonia and Lithuania: In Estonia, there is a yacht charter base in Tallinn. The coast of Estonia is about 250 miles long – due to some islands, this is a rather sheltered sailing area. In Lithuania, starting point for yacht charter cruises is Klaipeda.